A chakra is the energy center of the human body. The theoretical meaning of chakra is wheel or circle. There are seven chakras in our body. They are placed on a straight line from the very top of the head to the tailbone. A chakra is considered as the focal point of energy. It combines in between our psychology and physical energy. All these seven wheels are situated at the seven different parts of our body and controls different physical and mental activities based on those body parts. This idea was been practiced during the ancient Vedic era among the Hindu people. But this concept was familiar among the Buddhist also with a little difference. Hindus believe that body wheels are parts of physical body whereas the wheels are for the subtle body is the belief of the Buddhist people. This chakra system is the elaborated part of the Kundalini system. During the yoga practice one can learn to control this system. Breath exercise is the best exercise to channel energy through chakras. Root Chakra (Muladhara): it is situated at the base of the spinal cord in the tailbone area. Red color represents this chakra. Human’s sense of security is controlled by this. Basically, it helps us to feel secure within our territory. Blockage of muladhara makes experience a person insecure or some physical hazards like lower back pain, joint pain, and pain in legs. Sacral Chakra (Svadhistana): it is located in the lower abdomen of our body 2 inches under the naval point. Orange is its color. It deals with our sexuality and creativity. Imbalance of this chakra may cause urinary infection or infertility. Solar Plexus Chakra (Manipura): it is located in the upper abdomen of the human body and yellow represents it. It balances our power and will. When it not allows energy for free-flowing, a person may face skin problems, digestive problems, and diabetes and food allergies. Heart chakra (Anahata): it is located at the center of our chest just above the heart. Green is the color of Anahata. It regulates the feeling of love and kindness. Imbalance of this chakra may affect the lungs like pneumonia and asthma. Suffering from this a person may feel hopeless. Throat Chakra (Vishudha): it is located in our throat. Blue is the representative of this chakra. It controls our communication power and the capability to speak the truth. When this chakra lost its balance a person may suffer from thyroid issue or other vocal problems like loss of voice. Dental issue also may be occurred. Third Eye Chakra (Ajna): it is located in between our eyes at the lower part of the forehead. Indigo is the representative color of it. It controls our intuition. If eye chakra lost its balance eye problem may occur. Also the person may suffer from the hair and the scalp problem. Personality disorder also can be happened. Crown Chakra (Sahasrara): on the top most part of our head this chakra is located and violet is its color. It deals with the spiritual power. 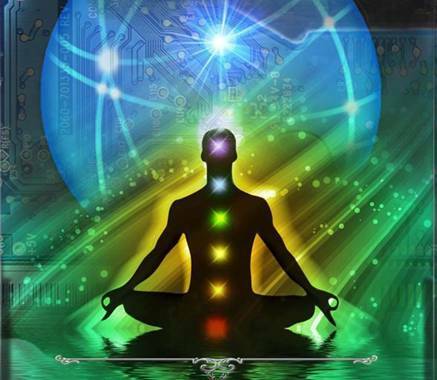 Imbalance of crown chakra affect our total health including mental and physical both. Headache, autoimmune disorder may happen. The victim may suffer from depression.